Barbie dolls have been a toy box staple for almost sixty years. And Barbie has stirred up a few controversies in her time. Some have accused her of being a poor role model for body image. Others have criticized the idea of a fashion doll altogether, saying it limits kids’ career aspirations to looking pretty. And others have pointed out that Barbie dolls are overwhelmingly white. These criticisms are valid. However, if Mattel’s latest offering, the Inspiring Women Collection, is anything to go by, the company has heard the message loud and clear. The new dolls celebrate a stunningly multicultural range of women achievers, past and present. They are beautiful, they are fun, and people are snapping them up. Before embarking on this line, Mattel surveyed 8,000 mothers, to see what they looked for in a doll. The vast majority of moms said they were concerned about role models. Mattel’s response was a new line of dolls that represent inspiring women of the past and present. The planned dolls will portray female giants of science, sports, art, journalism, and more. In addition, the range is multicultural. Two of the three dolls that have been released so far honor women of color — NASA mathematician and physicist Katherine Johnson, and Mexican artist Frida Kahlo. The third is renowned pilot and explorer, Amelia Earhart. Here’s Mattel’s video with information about Frida Kahlo and the doll she inspired. Frida Kahlo continues to be a symbol of strength and originality. We are humbled to honor Frida in our new Inspiring Women series. Designed to inspire more girls around the globe to imagine everything they can become. #MoreRoleModelsLearn more: http://dolltasti.cc/2twI6gh. Each Barbie comes with cute accessories, of course, like Bindi Irwin’s little koala. But she also comes with information about each woman’s achievements, and how she helped shape society. Playing with dolls has many documented benefits. Dolls help kids develop empathy and compassion, understand responsibility toward others, and help kids develop social skills. And these new dolls can teach kids how to reach for the stars. 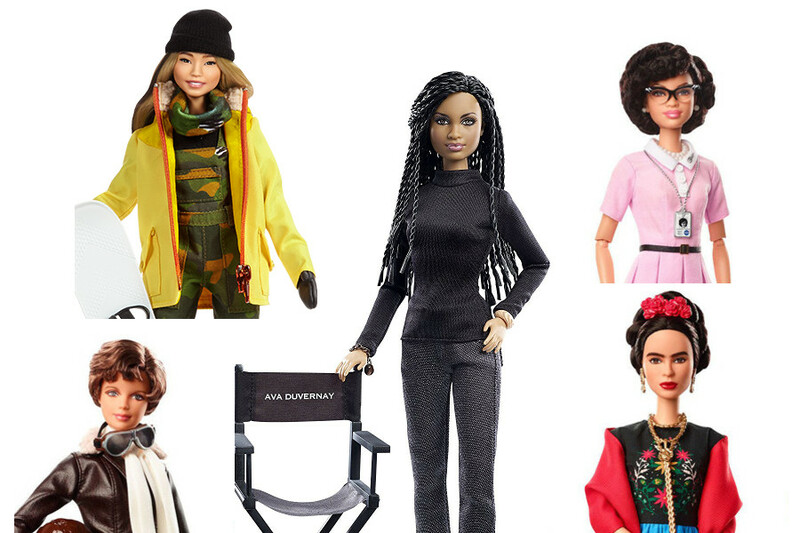 The Inspiring Women collection isn’t Barbie’s first foray into the world of female achievers. In 2015, Mattel launched its line of “Sheros.” The Shero dolls honor women that break boundaries. There are fourteen Shero dolls so far. Honorees include Wonder Woman director Patty Jenkins, curvy model and body activist Ashley Graham, and principal ballerina Misty Copeland. 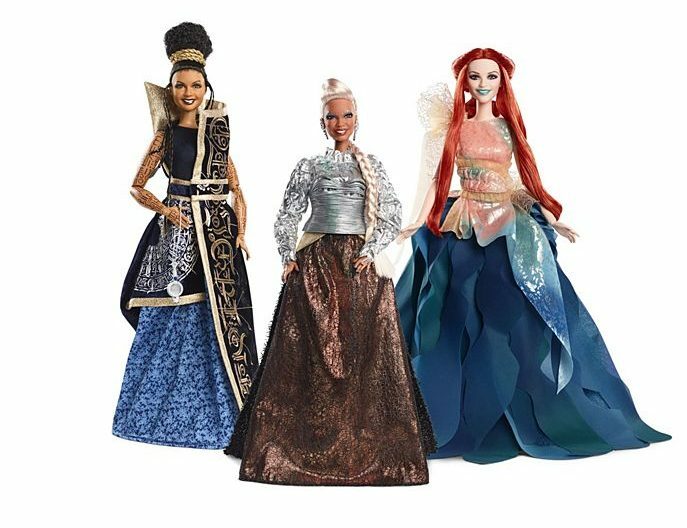 The three new Inspiring Women dolls are a continuation of the Shero line. Barbie has been changing, in a lot of good ways. In addition to a desire for role models, Mattel’s research showed two things. First, that parents were concerned about dolls’ effect on body image. Second, that kids wanted dolls that looked like them. And Mattel listened. The result was the Fashionistas line, which launched in 2016. Now, in addition to the Barbie figure we’re all used to, you can find tall, curvy, and petite sized Barbies. In addition, these come with a variety of skin tones and hair types. Perhaps even more revolutionary, Mattel markets all of these dolls under the Fashionistas line, promoting equality as well as diversity. It’s unfortunate that Mattel decided, around that same time, to discontinue the Becky doll. Becky, who used a wheelchair, had been a friend of Barbie for over twenty years. Who Else Will Be Honored? Mattel is marketing the Inspiring Women dolls on its website, Amazon, Walmart, and Toys R Us. Unfortunately, at the time of this writing, all of these venues appear to have sold out. So, if you are wondering, why can’t I find the Inspiring Women Dolls on Amazon, that’s why. Is this a good thing, or a bad thing? We should be happy that the Inspiring Women dolls are so popular. Hopefully, Mattel will make more of them, and even make them available on a regular basis like the Gabby Douglas doll. On the other hand, if Mattel doesn’t get cracking on it, a lot of people are going to be disappointed. You can, however, ask Mattel to notify you when more Amelia Earhart, Katherine Johnson, and Frida Kahlo dolls become available. And you can also wait patiently, as we are, for the release of the others.